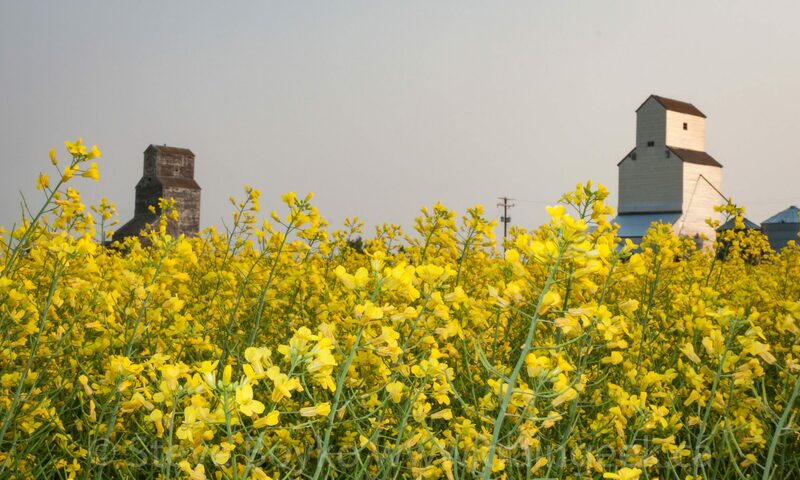 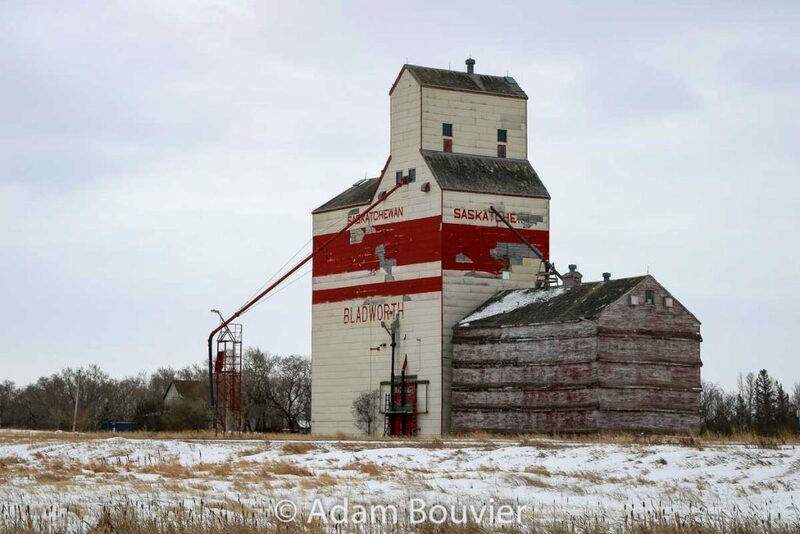 There is one grain elevator remaining in Bladworth, Saskatchewan. 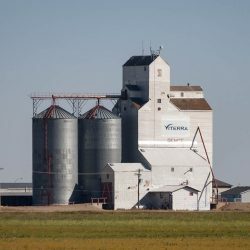 This interesting ex Saskatchewan Wheat Pool elevator consists of a central elevator with integrated annex, with a balloon style annex joined to it. 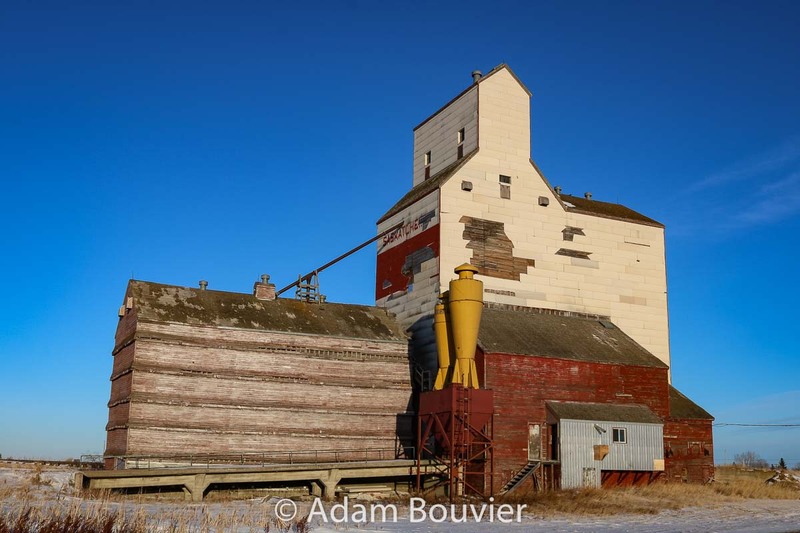 It does not appear that the red bands painted on it were originally there during the Pool years, but were added afterward, perhaps to cover the Pool logo after it was sold. 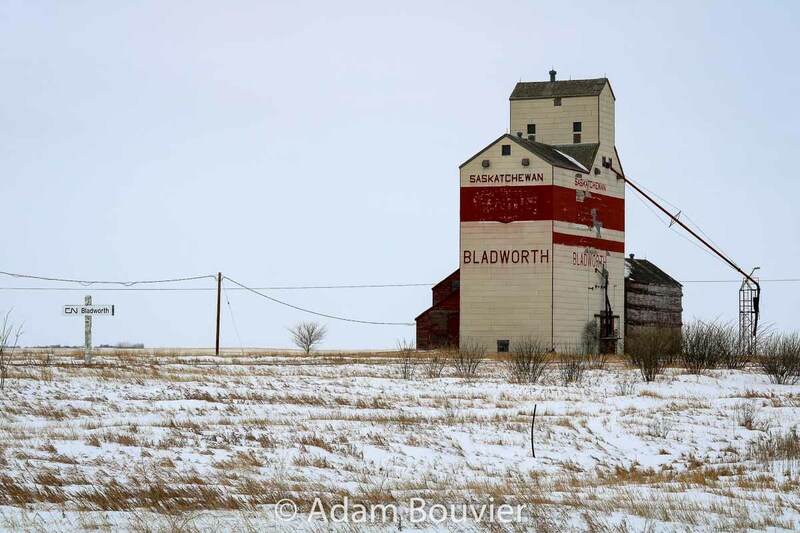 Bladworth, SK grain elevator, Feb 2018. Contributed by Adam Bouvier.